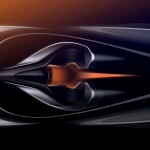 The upcoming McLaren Ultimate Series “Hyper-GT” BP23 will be the fastest car ever produced by the luxury automaker. Apparently, the limited edition hybrid hypercar will be faster than the legendary McLaren F1 that became popular during the 1990s. 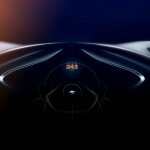 McLaren just announced a top speed target for it to the tune of “more than 243 mph” achieved by the McLaren F1. That means that the new hybrid hypercar might exceed 400 km/h or might even top 250 mph. A teaser sketch showed the figure “243” on the dashboard, meaning, of course, that the new car will reach that target but would most probably hit a number north of the mentioned figure. The BP23, then, is set to be the fastest car that McLaren has ever built. In several ways, it is geared to follow in the footsteps of the original McLaren because it will have a centrally mounted driver seat flanked with passenger seats on the side. 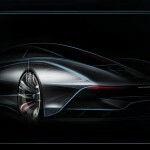 The production run will only be limited to 106 units, which is an ode to the original F1 road car’s sales figure. There is no specific “look” and features of the BP23 because everything will be done according to what customers want. The production of the McLaren BP23 will be managed and headed by McLaren’s Special Operations division. There are still a few surprises awaiting us because McLaren has yet to reveal the actual top speed and the name of the BP23. We suspect that all of these tiny but critical details will be revealed very soon as the car is about to be unveiled in the next few months. Or at least, that’s what reports have been indicating in auto industry circles. Recognizing that it is being called the BP23 in auto reports, McLaren clarified that the name would be more special rather than a simple alphanumeric term.